Travel Insurance Company in UK. List of UK’s best travel insurance companies for medical travel insurance, single trip travel insurance, Travel Insurance 50s, 70s etc. England based specialist insurance company for Over 50s and offers a wide range of products and services including travel insurance (Travel Insurance for over 50s and 70s), medical travel insurance, single trip travel insurance, life insurance and more. Insurance agency in Beckenham, England. Buy quality travel cover at affordable prices. Offers – Single Trip Travel Insurance, Annual Multi-Trip Insurance, Gap Year Travel Insurance, Long Stay Travel Insurance, Winter Sports Insurance and more. Offers single trip travel insurance, annual multi-trip travel insurance, medical cover travel insurance and winter sports travel insurance etc. Offers annual multi-trip insurance, single trip insurance and backpacker insurance policy. Offers annual multi-trip, single trip travel insurance, backpackers travel insurance, wedding travel insurance, winter sports travel insurance and golf travel insurance. Chancery House, St Nicholas Way, Sutton, Surrey SM1 1JB. Monday to Friday 8am to 8pm, Saturday 8am to 7pm, Sunday 9am to 5pm. Offers single and annual trip insurance as well as covers travel insurance for over 70s, travel insurance for over 65s, cruise travel insurance, ski & winter sports cover, pre-existing medical conditions etc. Folkestone, Kent CT20 3SE, United Kingdom. Travel Insurance Company in UK. Provider of low cost holiday insurance for gap years, single trips, Multi-trips & families. 1 Tower View, Kings Hill, West Malling, Kent ME19 4UY. Offering travel insurance to UK travellers – backpacker, longstay, over 60s travel insurance, one way travel insurance, working holidays, annual multi trip cover. Offers different levels of Travel Insurance cover from Single Trip Travel Insurance & annual trip holiday insurance to golf, cruise & medical cover, Backpacker Cover, Cruise Cover. Glasgow G31 3AU, United Kingdom. Travel Insurance for disabilities and medical conditions. Business Travel Insurance, Single Trip, Annual Multi Trip and Ski insurance policies. 11 Liverpool Gardens, Worthing, West Sussex BN11 1RY. Single trip travel insurance & annual multi-trip travel insurance. Tesco Travel Insurance, Prospect House, Trentham Lakes North, Stoke on Trent, ST4 4TW. Annual Multi-trip, Single Trip and Gap / Backpacker. Cheap Annual Travel Insurance, Single Trip Travel Insurance, Last Minute Travel Insurance, Group Travel Insurance, Backpacker Travel Insurance, Longstay Travel Insurance, Sports Travel Insurance, Winter Sports Travel Insurance, Ski Travel Insurance, Snowboarding Travel Insurance, Water Sports Travel Insurance, Surfing Travel Insurance, Kitesurfing Travel Insurance, Windsurfing Travel Insurance, Scuba Diving Travel Insurance, Mountaineering and Trekking Travel Insurance, Golf Travel Insurance, Family Travel Insurance, Medical Travel Insurance and more. Tourism House, Woodwater Park, Pynes Hill, Exeter, Devon EX2 5WS. Mon-Fri – 8am to 9pm, Sat & Sun – 8:30am to 5pm. 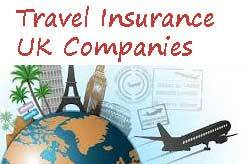 Travel insurance company in UK. Cover Types are Single trip cover, Annual multi-trip cover, Cover for over 65s, Cruise cover, Medical condition cover. Insurance Broker in Boldon. Buy your Travel Insurance online. Offers Annual Travel Insurance, Single Trip Travel Insurance, Family Travel Insurance, Cruise Travel Insurance, Winter Sports Insurance. Travel insurance company based in Kent. Offers best travel insurance policies and specialists in medical travel insurance. Range of other travel insurance policies are Single Trip Travel Insurance, Multi Trip Travel Insurance, Longstay Travel Insurance, Medical travel insurance, cruise travel insurance extension etc. Address : 1 Tower View, Kings Hill, West Malling, Kent ME19 4UY. Award-winning insurance company Holiday Extras offer cheap holiday insurance policies including single-trip insurance, annual travel insurance. Address : Ashford Road, Newingreen, Kent, UK, CT21 4JF. Covers cruise holidays, Cycling holidays, Family holidays, Skiing and snowboarding, Older travellers Insurance, Medical conditions. A leading UK online travel insurance provider for Australia and New Zealand or Worldwide destinations. Address : 19 May Close, Climping BN17 5TF. Insurance Broker in London since 1988. Specialists in travel insurance with medical conditions, Single Trip Travel Insurance, Annual Travel Insurance, Cruise Insurance, Over 50s Travel Insurance, Non Standard Travel Insurance. Address : St Albans House, Portland Street, Royal Leamington Spa, Warwickshire CV32 5EZ, United Kingdom. Cardiff based UK travel insurance company provides – Single Trip Travel Insurance, Cruise Travel Insurance, Annual Travel Insurance and Golf Travel Insurance. Admiral Travel Insurance covers the UK, Europe and Worldwide. Hours : Mon-Fri : 8am-7pm, Sat : 9am-5pm, Sun : Closed. Offers Single Trip, Annual, Long Stay, Winter Sports or Cruise travel insurance. UK travel insurance company M&S Bank Travel Insurance. Page updated : 21st June, 2017.